Dr. Jalaja Bonheim helps women heal themselves and their relationships through circlework.Dr. Jalaja Bonheim describes circlework as a tool to heal and empower women, addressing the needs and challenges that face the modern woman. Women gather in a deeper, more meaningful way than a traditional get-together. It takes place in a sacred space but without religion. The sacred circle provides women with an opportunity to share deep thoughts and concerns. Women voice their feelings, helping them heal themselves and their relationships. Everyone is equal in a circle. People of all religions and belief systems participate in circlework. The sacredness of the circle comes from the co-creation of a place of healing by all participants. 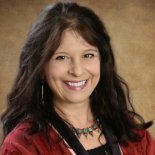 Listen as Dr. Bonheim joins Dr. Taz to discuss how women find healing with circlework.